Ellsworth Electric provides comprehensive electrical contractor and insulation services for residential, industrial and commercial customers throughout Maryland, Pennsylvania, Virginia, West Virginia, and Delaware. Our services include planning and design, technical drawings, materials acquisition, and construction of low, medium, and high-voltage electrical systems. We also provide code reviews and inspections. 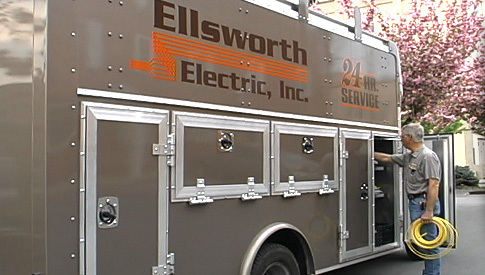 Since 1927, Ellsworth Electric has provided quality service and dedication to customer satisfaction. The future looks bright as we help the region grow by developing outstanding office complexes, public buildings, industrial plants, and housing subdivisions.